We've got new arrivals by Alice + Olivia that are hot, chic, and total must-haves!! Slip on the Cecil Structured Peplum Dress and you will steal the show. 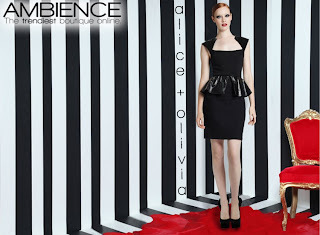 This little black dress has all the attitude and style you've come to expect from Alice + Olivia.